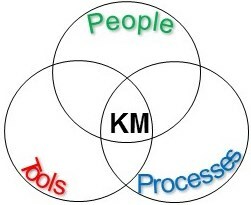 The concept of knowledge management (KM) became formalized in the early 1990’s. It captures an approach combining multiple disciplines to optimize the development, capture, sharing, and employing organizational knowledge. Since then numerous government agencies, institutions, and companies have allocated resources to enhance their respective knowledge management practices. In fact, there are several communities promoting KM practices and certification such as the Knowledge Management Institute. KM is employed by the federal government and the Department of Defense and private industry across a wide spectrum of activities. On a more practical level it is an organization’s deliberate approach to establish effective staff processes to achieve and maintain the shared understanding to support decision making. In addition, KM can assist organizations minimize “lost knowledge” through attrition of personnel with highly unique skills and help reduce duplication of knowledge across functional areas. As projects have become more complex, integrated, and information intensive knowledge has become a critical resource to stay on schedule. Standing up a joint venture project team adds to complexity of a project with a need to quickly form a cohesive team that operates and functions as smooth as possible. In addition, each company brings its own distinct culture to the project which creates the opportunity for immediate friction and can add to the fog of project execution. 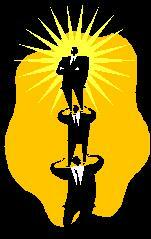 Therefore, it is important to plan and organize how the people, processes and tools will interact, before award. Below I have included a few steps outlining an approach to apply KM on a large scale joint venture project. Organizational Structure – What organization structure will support efficient prosecution of the project and support client relationships as well connectivity with each Joint Venture partners’ home organization. Map and analyze core processes – Frequently Joint Venture teams are comprised of personnel with different backgrounds, levels of experience, and are unfamiliar to each other. Document processes for repeatability – New staff will rotate on and off the project, create an environment that supports rapid integration of new personnel as the project changes. The establishment of mutually agreed upon processes and implementation of how the joint venture will stand-up, operate, and close down will increase the effectiveness and efficiency of the new organization. For some projects the establishment of the joint venture entails the generation of up to $1 billion of revenue over a three to four year time frame, more than some companies will see for years. The small amount of time and money in comparison should be evidence of how worthwhile a little forward planning can be. This entry was posted in Federal Compliance, Federal Contracting, Knowledge Management, Project Partnering, Uncategorized and tagged Battle Rhythm, Decision Making, Decision Support, Information Environment, Information Exchange, Knowledge Management, People, Process Map, Processes by Carl Gouaux. Bookmark the permalink.